SHAH movie recounts a riveting journey of a national boxer who poured his blood and sweat into boxing championships that brought International acclaim and achievements to this country. 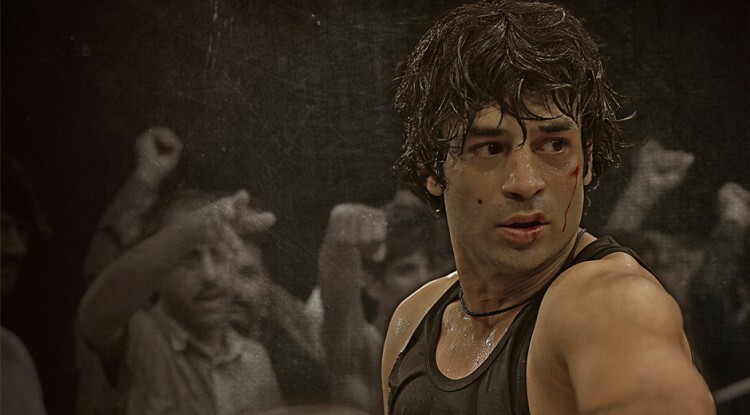 This movie is about Syed Hussain Shah, a mere nobody, who rose from the footpaths of lyari, trained at local boxing clubs and soon enough became a Pakistani sensation. Interestingly enough, however, like unlike the stereotypical bio-pic, SHAH movie, doesn’t just document the rise of a star. In fact, it makes the audience undergo an emotional rollercoaster. The first half of the movie allows the audiences to experience the sheer graphical representation of the action inside the boxing ring. They root for the victory of the local boy in different boxing arenas and watch him grow into a better boxer and a human being despite his circumstances. The latter half of the movie, however, is a lot like physically getting punched in the gut. It documents the ills not just within our system but also amongst ourselves. It is absolutely heart-rendering and thought provoking to watch a man like him fade and disappear with time. The down-fall of Hussain Shah is as dramatic as his rise, and it makes the audience ponder over a lot of questions. Handful of which include, why did the nation forget to value the only Pakistani athlete who won an individual medal at the Olympic Games in more than 50 years? Are Honoree mentions and government acknowledgments, like the Sitara-e-Imtaz, just a well-staged act? And how long is it till the young and talented stop emerging from an area like Lyari where violence prevails? By the end, the movie leaves no-loose ends or unanswered questions. The lead actor, director and writer of the film, Adnan Sarwar does justice to the role he played. He not only meticulous about camera angles, but also pens down powerful dialogues, which he, along with the other supporting actors in the film perform impressively. A special mention is also due to Kiran Chaudhry who plays the role of a journalist in the film through whom the story of Hussain Shah is narrated. Team SiddySays urge its readers to go and watch SHAH – a movie that has a genuine story to tell and introduces fresh set of actors with immense potential. SiddySays-Final Verdict: 4/5 stars. A movie on Syed Hussain Shah’s meteoric rise and a shocking downfall that comes with its fair-share of agony and frustration.